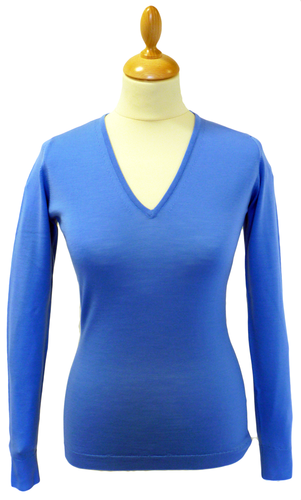 JOHN SMEDLEY 'FUTURA' WOMENS RETRO SIXTIES MOD V-NECK JUMPER - 4 Styles - 20 Truths (China Blue). 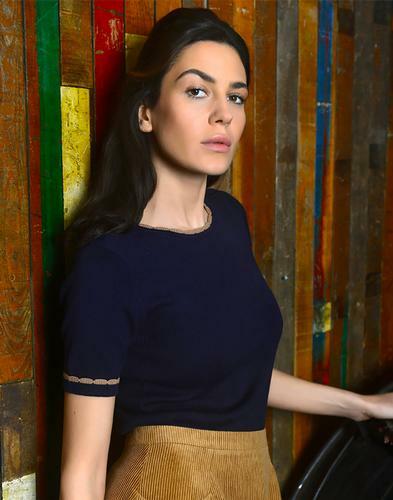 JOHN SMEDLEY Womens Clothing introduce a whole new concept in style. The 'Twenty Truths' range incorporates 4 classic styles - each one holding within it's fab construction 20 truthful properties. A portrait in Retro and Mod style. JOHN SMEDLEY Retro Clothing with a fashionable and classic look. The essence of elegance and a Mod Clothing masterpiece - 'Futura' V-Neck Pullover by JOHN SMEDLEY. 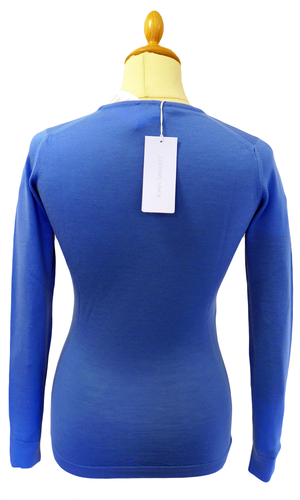 JOHN SMEDLEY 'Futura' Womens Retro Jumper in a super chic china blue. Made from luxurious 30 gauge extra fine New Zealand Merino Wool, 'Futura' by JOHN SMEDLEY is a Mod Clothing staple - Sharp, simple and distinctive. Classic V-neck, ribbed cuffs and hem, 'Futura' is a style that works well worn on it's own or layered with a stylish Retro or Indie shirt. The JOHN SMEDLEY '20 Truths' concept revolves on 4 styles - All Retro Clothing classics and John Smedley best sellers. Take a look at the lowdown on the full '20 Truths'. JOHN SMEDLEY 'FUTURA' WOMENS RETRO MOD TWENTY TRUTHS V-NECK JUMPER. JOHN SMEDLEY 'FUTURA' WOMENS RETRO SIXTIES MOD 20 TRUTHS V-NECK PULLOVER JUMPER - Womens china blue Retro V-Neck Jumper. Fine gauge knitted V-neck Mod jumper, ribbed hem and cuffs - part of the JOHN SMEDLEY '20 Truths' concept. 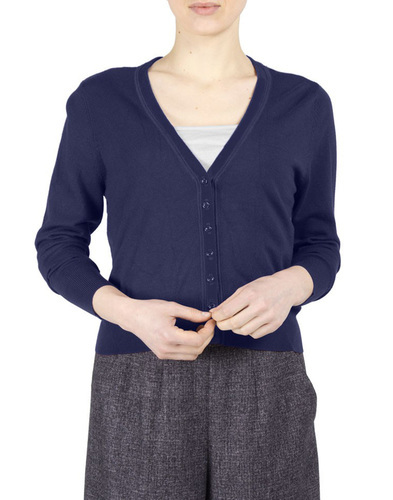 Made from luxurious New Zealand Merino Wool. 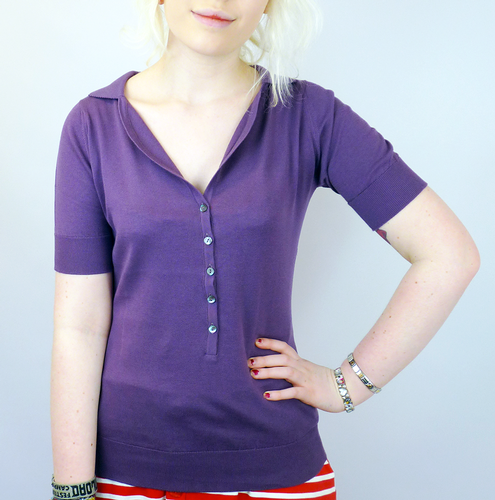 Brand: JOHN SMEDLEY Womens Clothing. Composition: 100% JOHN SMEDLEY New Zealand Merino Wool. Care: Machine wash. Please read full instructions on garment label for further information. 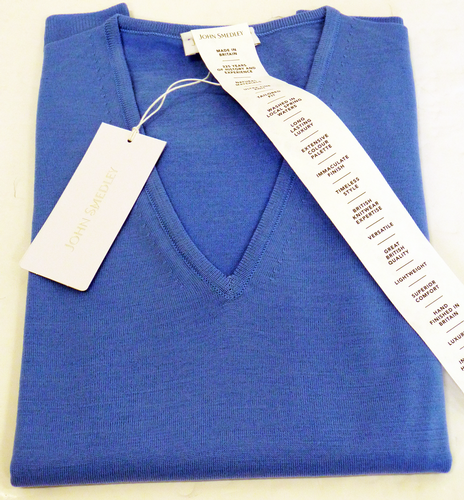 SKU: 'Futura' JOHN SMEDLEY Womens V-Neck Pullover. JOHN SMEDLEY 'FUTURA' WOMENS RETRO MOD V-NECK JUMPER - Part of the '20 Truths' Collection. XS - UK 8 -10.